You know those small pre-peeled frozen shrimps found in the frozen section in the store? There is probably a bag of them in the back of your freezer right now you don’t know what to do with it. They are actually very helpful and convenient, they fit in almost all types of recipes, however not knowing the correct method to cook them can make them taste like little sponges that chew like rubbers, lacking the fresh flavor of fresh shrimps, when you cook with them they turn your sauce into a very thin mess up that is too watery. 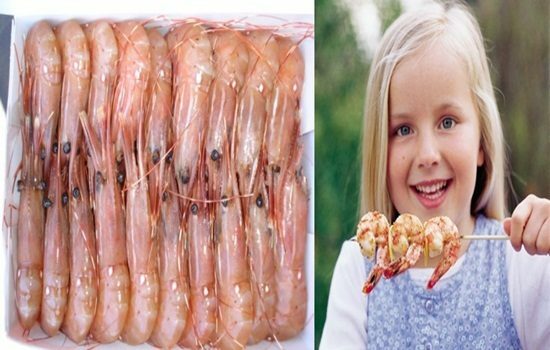 Well if that sound like you, you want to cook more often with shrimps and you are lacking time to buy fresh ones or to clean and peel them then here are the professional tricks that will make frozen shrimps taste and cook just like fresh ones maybe even better. 1- First take them out of the bag and thaw them in a strainer allowing them to drip any water through. 2- After they completely defrost, place them on a kitchen towel to soak any amount of excess water. 3- place them on a hot pan over a really high fire for two minutes to release more juices, let them sit on one side for one minute then stir quickly and turn them on the other side for another minute. 4- Here is the big TRICK, save that shrimp juice in the skillet and if you are cooking a recipe that requires water or liquid then include this shrimp flavored little stock with the water, wine or sauce you are cooking the shrimps in, basically you don’t need the amount of juices the shrimp releases to be concentrated or in excess in the sauce you are cooking the shrimps in. 5- Once your sauce is done then return the shrimps back to the pan to cook thoroughly. And enjoy. Be Positive And Start Living Happily Today! HOW DO YOU KNOW THIS IS YOUR SOUL MATE?